Some of the members of the Princeton Health Care Team. 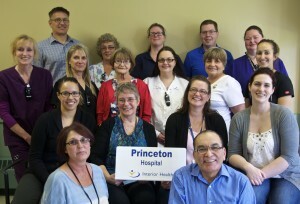 The Support Our Health Care (SOHC) Society of Princeton would like to nominate the healthcare team at Cascade Medical Centre and Princeton General Hospital for a 2016 Award of Excellence in Rural Medicine in the Resilient Community category. As a direct result of a shortage of family physicians and healthcare professionals, Princeton and District has recently gone through a serious healthcare crisis. It reached a critical stage in April 2012, when we had only one doctor providing on-call service and our emergency department was closed four nights a week. Exacerbating the crisis was a critical shortage of nurses, medical office assistants, and laboratory staff. At the peak of the crisis in January 2013, SOHC held a Health Care Community Consultation in response to community concerns over the shortage of health care professionals and the resulting erosion of services. This research based consultation was facilitated by Dr. Barbara Pesut, Associate Professor at the UBCO School of Nursing and Canada Research Chair in Health, Ethics and Diversity. The results of the Consultation were summarized and published in a report that was released to the public. In response, the health care practitioners began working collaboratively with Interior Health, the Regional District of Okanagan Similkameen, the Town of Princeton, and local community groups to address the challenges and concerns identified in the report. This led to the formation of the Princeton Health Care Steering Committee in July 2013. Over the course of the next several months, we were fortunate to have three doctors join the one remaining doctor at Cascade Medical and for a short time our community was enjoying a period of relative stability. However, this was not to last. Within the next few months one of the doctors left to be with his wife and family and to set up a practice in the lower mainland. And within a year it was determined that another doctor would be leaving upon completion of her two year certification requirement. Realizing the untenable situation, the two remaining GPs, Dr. Black and Dr. Monro, began working on recruitment. Their approach was to portray our community’s health care system as a positive, stable model staffed with young, energetic professionals working collaboratively to serve the community. The practitioners worked with SOHC to develop materials that could be used in their recruitment efforts. They also worked closely with Interior Health to take advantage of available recruitment programs. Until permanent practitioners were recruited, Cascade Medical Group (CMG) needed to rely on locums to fill our community’s health care needs. Initially, there was some difficulty in attracting locums. In response, one of the physicians suggested a campaign to attract locums. The Love a Locum campaign was started, aimed at making locums feel welcome when they came to Princeton. SOHC organized a community-wide appeal, resulting in a large number of donations that included Save On Foods welcome baskets presented by our Mayor, home canned goods, home cooked meals, tickets to our local hockey team’s home games, and rounds of golf at the Princeton Golf Club. In addition, CMG requested accommodation support from Interior Health, resulting in provision of a furnished apartment close to the hospital and clinic. This program has now been in operation for over a year and has contributed to the successful recruitment and retention of locums. Over the past three years, the Cascade Medical Group has provided outstanding leadership and guidance in the formation and implementation of the Princeton Health Care Steering Committee Action Plan, successfully addressing many of the health care challenges that our community has faced. Central to this success has been the willingness of the entire team to work collaboratively to develop programs and initiatives aimed at providing sustainable solutions. Yesterday, Saskatchewan Minister of Health Dustin Duncan introduced a bill to allow privatized CT scan services where patients can pay for priority treatment and jump ahead of the queue. This bill is the latest in an alarming series of violations of the Canada Health Act that are on the rise across the country. Quebec’s Bill 20, Alberta’s issues with the Copeman Clinic, and private MRIs in Saskatchewan all overtly defy the Canada Health Act and undermine Canadian medicare. Canadian Doctors for Medicare is concerned the Saskatchewan government’s intention is to create a two-tier health care system in that province but are equally concerned your government has not, as yet, acted on your duty to protect the Canadian health care system. Minister Duncan asserts that introducing private CT scans will increase public capacity and reduce wait times without costing the taxpayers any dollars. However, research on parallel private care has shown that, without exception, when private parallel for-profit health services are introduced, the result is greater wait times within the public system. Evidence also shows that private, for-profit clinics drain the limited supply of health professionals from the rest of the health care system, lengthening waiting lists and reducing access.We also know that wait times can be decreased through initiatives within a single payer system. These experiments will increase inequities between the most affluent and all other patients, especially those in small towns, rural areas and indigenous communities, who are never the “beneficiaries” of private care. What’s more, every indication is that they will fail, at great cost. When he first introduced the concept of pay-per-use diagnostic imaging to the province, Premier Wall cited Alberta as an example; however, the Government of Alberta has moved away from the policy at great cost. Alberta was forced to repay patients for medically-necessary imaging services that were in contravention of the Canada Health Act, and moved virtually all MRI and CT services back into the public system. Alberta has since built public capacity and cracked down on the practice of extra-billing. Premier Wall is openly enthusiastic about continuing to explore pay-per-service health care delivery in Saskatchewan. His concept of health care delivery results in extra-billing and two-tier health; patients in greatest need wait longer while those who can afford it pay to receive priority treatment. His ideas are contrary to the principles of the Canada Health Act. 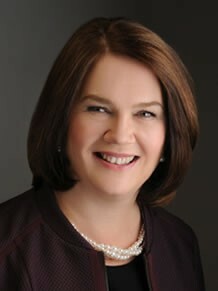 Prime Minister Trudeau wrote in his mandate letter to you, “The federal government must be an essential partner in improving outcomes and quality of care for Canadians.” You can achieve this goal by abiding the primary objective of the Canada Health Act to “facilitate reasonable access to health services without financial or other barriers” and enforce the Canada Health Act. 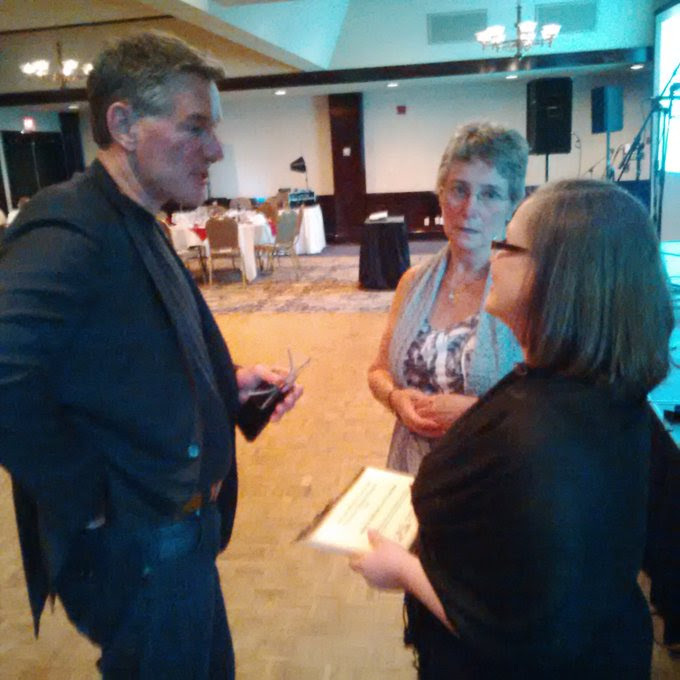 Dr. Allan Ruddiman, Doctors of BC President, speaks with Dr. Ella Monro and Cherie Whittaker at the Awards Dinner held in Prince George on June 9. The health care practitioners and professional staff at Cascade Medical Clinic and Princeton General Hospital have received the 2016 Award of Excellence from the Rural Coordination Centre of BC for their dedication and service to the residents of Princeton and Area. Dr. Ella Monro and Cherie Whittaker attended the Awards Dinner held on June 9 and received the award on behalf of the entire Princeton Healthcare Team. The Rural Coordination Centre of BC (RCCbc) is an organization that links the Joint Standing Committee on Rural Issues with rural physicians, rural communities and the University of British Columbia, working to develop strong relationships between all facets of rural health care. The organization focuses on the coordination of initiatives and projects to bridge gaps between existing rural resources. Each year, RCCbc and its partners recognize the good work of BC’s rural physicians through the Awards of Excellence in Rural Medicine. The criteria for this year’s award centred on “rural teams whose excellent work has substantially stabilized or improved the health and well-being of the community in the face of challenging situations.” SOHC nominated the Princeton Healthcare Team, believing that they were worthy candidates for this prestigious award. Congratulations to our team and thank you for the award-winning service you provide to our community! 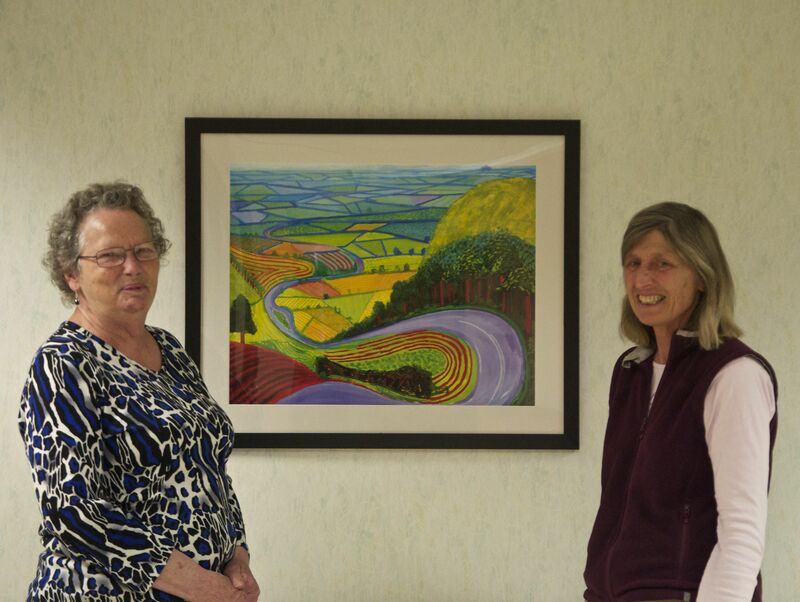 Local artist Susan Delatour (on right) and Marjorie Holland, President of the Princeton and District Arts Council, stand in front of a print by British artist David Hockney that was recently purchased as part of the Art for Health project.The print is one of three new artworks installed at Princeton General Hospital as part of the project to provide a more welcoming and healing space for patients in our community’s health care buildings. Artwork purchased with financial assistance of the Arts Council.